De-Clutter - Remove all unnecessary items to make your rental home look spick and span. The key areas of your house should be organized and not have unwanted miscellaneous items lying all around. One can always donate things that are no longer required or in use. Lighten It Up - Replace the shabby lightening fixtures and install portable table lamps to brighten up your home. Add chic lanterns or fairy lights along the staircase and doorway to give it a fresh look altogether. Upgrade The Décor – Revamp your home with new curtains and rugs to add value to it. Also change over the worn out carpets. Try experimenting with the décor, because you never know what clicks off instantly and helps you turn your dull and drab rental home into a new upgraded version of itself. Change The Furniture – It is often a good idea to change your furniture for a better and improved look of your home. Buy the furniture that suits your personality, but make sure that your room does not look congested and overstuffed with furniture items. Buy second hand furniture if you wish to refurbish your home without shelling out dollars. Clean Around – Try to keep the home clean and spotless to let your home puff in. Clean up the dusty layers that sprawl up on your furniture and windows. Do not forget to clean the attic and garage as well as to mow the lawn. Let The Air In – Open up all windows and relatively less used spaces. Letting in some natural fresh air can literally breathe in life to your home. Close To Nature – There is nothing better than placing plants and flowerpots on your windows to add the natural aesthetic value to your house. Place in bunch of flowers in a vase to decorate your living room. Highly beautiful, budget friendly and free oxygen, what more could we ask for! DIY Projects – Let the artist in you make and create DIY items. Create modular shelfs, customized wall hangings etc. to add in style and utility. Use Empty Spaces – Do not stray away the odd corners of the house as they have huge potential to be utilized. You can build shelves, display your art or place a plant in the left out corner. The space under the staircase can be used for storage or as small reading station for your kid. Nevertheless, you can follow these simple yet efficient tips to accentuate the overall look of your rental home without irking your landlord. As a tenant, you need to be aware of your rights as this will help to protect your privacy and avoid any sort of hassles. You also need to be careful before signing the lease agreement while renting a home in Ft Hood, TX. Understand all the terms and conditions as well as clear your doubts with the landlord before signing on the dotted line. Get everything in written: In order to avoid any legal hassles or misunderstandings later on, you must get everything in written beforehand. Keep copies of all the important documents with you so as to avoid trouble. All your oral communication with the landlord regarding the repair work, rent terms or anything associated with the rental property must be mentioned in a written contract. Carefully inspect the rental unit before moving in: Before you move in to the rental home, make sure you inspect it thoroughly and bring it to the notice of the landlord. You can even take pictures of the property and inform your landlord about the repair work needed prior to moving in. Get rent receipts: As per the law, the landlord is required to give you duly signed rent receipts every month. Also, you must keep a copy of the check you send to your landlord for rent payment. Make sure you retain all the payment documents. If you pay the rent online, maintain a record of all the monthly transactions. Know about your privacy rights: If you are concerned about your privacy or would not available at the home at all times, you need to discuss it with the landlord in advance. Be aware of your privacy rights and request your landlord to give you a prior notice whenever he wants to visit the rental unit. Buy a good renters insurance policy: It is imperative that you buy a renters insurance policy that provides coverage for your belongings in the home. Also make sure that the landlord’s homeowners insurance covers any sort of damage to your rental home. 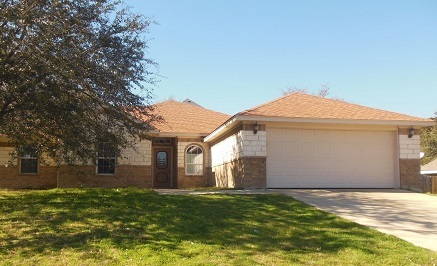 Contact Lone Star Realty & Property Management, Inc. to find a well-maintained rental home in Ft. Hood, TX. For details, call us at (254) 699 – 7003 or visit 1020 W Jasper Drive, Killeen, TX 76542. With the arrival of cold weather and freezing temperatures, the utility bills can also take a steep incline if you are not well prepared. The frigid winds, snowfall and harsh climatic conditions may compel you to use the heating system for long hours. However, by following certain tips, you can easily make your rental home emergency efficient and save a lot on your energy charges. Turn Off Outdoor Faucets And Hoses: Make sure you disconnect all the outdoor hoses and turn off the faucets, particularly if they are not frost proof. Cover the faucets with insulated covers so that the pipes do not freeze. Every drop of water should be drained out of the faucets to prevent the pipe from freezing. Change Filters: Clean and replace the furnace filters at regular intervals to improve heat circulation throughout the home. The filters can accumulate dust and dirt during the summer months, which can slow down the flow of air. Having a clean furnace will not only keep your home warm, but also improve the indoor air quality. Get your furnace system serviced to make sure that it is in proper working order. Seal All Leaks: Look for any air leaks in doors, windows, attic, dryer and furnace vents and seal them with caulks or adhesive weather strips. Even a minor crack can contribute to the loss of hot air from the home. You can also cover your windows with curtains to protect yourself from the cold winds. Remove or Cover Air Conditioning Unit: Heat can easily escape your rental home through the window air conditioning unit. To avoid this, you can either remove or cover the AC unit throughout the winter season. If the unit is stored outdoors, protect it with a waterproof covering to prevent damage due to rust, dirt and freezing. Keep Doors Closed: If there are large spaces or rooms that do not need to be heated, keep the doors closed to maximize heating. Any gaps at the bottom of the doors should also be fixed so that the warm air does not escape the room. 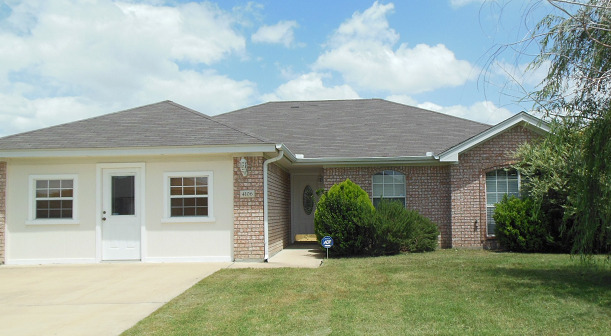 For more information on winterizing on rental home in Fort Hood, contact Lone Star Realty & Property Management, Inc. at (254) 699 – 7003 or visit our office at 1020 W Jasper Dr, Killeen, TX 76542. Visual appeal: It is imperative to de-clutter the house, beautify it and add amenities to attract potential tenants. You can paint the outer walls and maintain the landscape to improve the curb appeal of the house. You can consider hiring the services of a professional property management company to prepare your house for staging. Advertizement: You should reach out to potential tenants by marketing your property through effective mediums like an online listing and local newspaper. You can also advertize your property through licensed real estate agents in your area. Screen tenants: You need to check the tenant for credit rating, rental history and criminal record. Once you have done the checks and everything seems satisfactory, the tenant can rent your property. You should try to complete the process as soon as possible to ensure quick tenancy. Rental amount: You must determine a competitive monthly rent after researching the rent of similar properties in your location. Quoting too high or low rent can put off most potential tenants. Inspect your home: You should ensure that all appliances, plumbing and electrical fixtures are in proper working condition. If the property requires any repairing, it should be done before making the property available for viewing. Safety: You should improve the safety features in the property to appeal to a larger audience. Installing fire alarms, changing the locks and smoke detectors can promote the property as a safe living place. You can also equip the kitchen with a fire extinguisher and sprinkler. Pet friendly: Many tenants search for a home that is pet friendly. Therefore, by allowing tenants by pets, you can considerably increase your home’s demand in the rental market. You can specify the type of pets allowed and mention these instructions in the rental agreement. We, at Lone Star Realty & Property Management, Inc., provide property management services in Fort Hood, TX. For more information, you can call us at (254) 699 – 7003. The process of searching for a rental home can be time consuming and challenging. It is essential to analyze your preferences and requirements in order to search for a suitable property that is within your budget. However, it is advisable to hire a professional real estate company to make the process easier and hassle free. Determine your budget: Before setting out on your search for a rental home, you must take the time and analyze your estimated budget. Ideally, your monthly rental should not exceed about 30 percent of your salary. In addition to rent, you also need to set aside finances for utilities, Internet, parking, laundry, moving and furnishing your home. Deciding your budget can help you shortlist the suitable properties in lesser time. Decide the important features: These may include the number of bedrooms and bathrooms, storage space, outdoors area, kitchen and electronic appliances, parking space, garage etc. However, you must differentiate between amenities that are essential and those that are optional. Choose a type of property: In order to make your search process more streamlined, you should also decide on the type of property that you want to rent. You can select from homes, duplexes, townhouses, condominiums, apartments etc. Research the area: It is extremely important to be aware of the geographic location of the home that you want to rent. You should walk around the house to analyze the locality, security arrangements and neighborhood. Proximity to grocery stores, playgrounds, workplace, schools and transportation services can also be important in making the decision. Inspect the house: It is imperative to make sure that the house to decide to rent is well maintained and up-to-date. You should check the house for cleanliness, types of appliances and facilities provided, the quality of furniture and upholstery in the house and the condition of kitchen. Hire an agent: It is recommended that you hire a professional real estate agent as he can help you negotiate a fair priced deal, handle the legalities and important paperwork on your behalf. 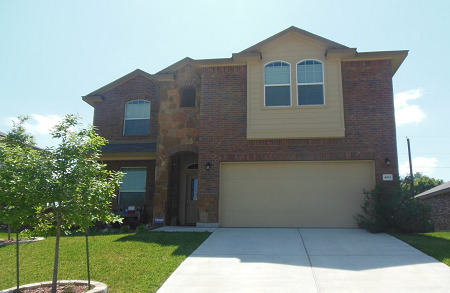 We, at Lone Star Realty & Property Management, Inc., can help you search an affordable rental home in Fort Hood, TX. For more information, you can call us at (254) 699 – 7003. If you are planning to purchase a home, it is essential to inspect it thoroughly. This assists in avoiding over looking issues and repairs needed in the house. It is necessary to cover different features of the house such as insulation, roofing, electric wiring, plumbing and structural features. Homebuyers can also consider hiring the services of a professional property management company to ensure proper inspection of the house. The professional home inspector carries out detailed inspection and notices issues that can be overlooked by a buyer. Improvements And Repairs: You should inspect the structure, exteriors and interiors of the home. Check the walls, ceiling, roof, HVAC, plumbing, electric wiring, ventilation and insulation to determine the necessary repairs. The home inspection services provider can also prepare a detailed report for the buyer that suggests any repairs or improvements that are required in the house. Reveal Problems: The home inspectors are experts and aware of the common problems in homes. They help notice any costly repairs or maintenance required in the house which further helps you negotiate price with the seller. If there are some minor issues with the property, you can also ask the seller to pay for the repairs. Signs Of Structural Damage: A home inspector looks for all signs of damages to the house that can assist you in making the right decision and a profitable investment. Issues with the foundation of the house can help in avoiding a disastrous decision. Carry out Radon inspection: Radon, a radioactive element, occurs naturally over granite and is harmful in homes. A home inspection service provider carries out the tests to determine the levels of radon in the house to ensure safety. Plumbing and Electric Condition: You should also ensure that the plumbing fixtures, pipes and tanks are in a good condition. The electric wiring and appliances must be properly checked to avoid any safety hazards. We, at Lone Star Realty & Property Management, Inc., can help you search and inspect a suitable rental home in Fort Hood, TX. For more information about the services, you can call us at (254) 699 – 7003. Finding a suitable rental apartment may not be easy, specially if you have just moved or are planning to move to Fort Hood, TX. You need to consider a lot of important factors such as affordability, required amenities, accessibility, etc. Given here is a complete guide to find the most suitable rental apartment in Fort Hood. Affordability: Make sure your rent does not exceed 20% of your monthly income. Chalk out a detailed financial plan to determine a reasonable price range and identify expenses that you can cut to afford a desired apartment. By managing your budget sensibly, you can surely have an added space or room. Get your credit check report: Although landlords conduct thorough screening of the tenants before renting the apartment, you should also request your own credit score to ensure there is no hurdle that can mar your scope. Lower your monthly rent: Suburbs often offer more economical options than city centers, so you can check out some good apartments in the suburb within conveniently commutable distance. This requires you to consider transportation costs. Another way of lowering the apartment rent is sharing it with someone. Your roommate will ease the financial burden however, it is crucial to have the landlord’s consent for sharing and have a written agreement with your roommate. Talk to other tenants: If you want to ensure that you are renting the right place, talk to the other tenants in the building and try to get maximum information about the landlord. You can also talk to some of the previous tenants to know about the behavior of the landlord and know whether landlord acts responsibly, adheres to the terms mentioned in the agreements and maintains the property or not. Check out everything before signing the lease: It is essential to walk through the apartment and check everything so that you are sure of everything. The previous tenants may have caused damage to the property or there may be some maintenance issues to take care of. Check the faucets, flush, and water pressure. Also, check if the lights and other electrical appliances are functioning properly. Check safety measures and the locks. We, at Lone Star Realty & Property Management, Inc., can help you search affordable and well maintained apartment for rent in Fort Hood, TX. For more information, you can call us at (254) 699 – 7003.